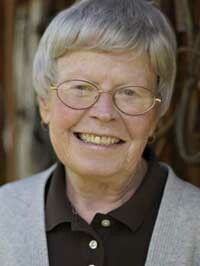 Theresa Richards, 81, died Monday evening, Jan. 30, 2012, at her home in Hailey, Idaho, surrounded by family. Theresa was born Dec. 31, 1930, in Missouri Valley, Iowa, and spent most of her youth on family farms near Imogene and Missouri Valley. After graduating from high school in 1948, Theresa enrolled in the Mercy Hospital School of Nursing in Council Bluffs, Iowa. She completed her RN studies in 1951 and then moved to Minneapolis, where she worked at the University of Minnesota Hospital. While working there, Theresa took advantage of reduced-cost dental care. She paid the price later when she fell in love with her dentist and future husband, Art Richards. Art and Theresa were married in Missouri Valley in May 1954 and honeymooned at Hayden Lake. The two then moved to Hailey, where Art had started his dental practice and Theresa secured a job as a nurse at the Sun Valley hospital. Theresa was a marvelous mother, grandmother, great-grandmother, aunt, sister and community member. Together, Theresa and Art raised eight children—two girls and six boys. She loved her home in Hailey and the Wood River Valley. She loved to pack a picnic and head to Redfish Lake, Deer Creek, Easley and Clarendon. She tentatively embraced skiing, and even taught skiing lessons at Rotarun. She didn't really enjoy hunting or fishing or hunting dogs and outright disliked sleeping on the ground in a tent. However, she loved the freedom and the opportunities for adventure that the area afforded her husband and children. She spent many hours supporting her kids at track meets and swim meets, football, baseball and basketball games, ski races, scouting events and band concerts—and many, many more hours cooking for and cleaning up after the lot. While raising her family, Theresa still found time to work part time for Drs. Packer and Gwinner and later for Drs. Woods and Paris. She was a devout Catholic and faithful member of St. Charles of Borromeo Church in Hailey, where she was a member of the Altar Society, taught CCD and worked many a Basque Dinner. She was an active member of Chapter A.M. of P.E.O. for nearly 55 years. After nearly 40 years devoted to raising children, Theresa enjoyed retirement with Art. For the next 15 years, Theresa and Art traveled extensively. They made numerous trips throughout the U.S. to visit relatives, as well as extended trips to Mexico, Alaska, Ireland and Italy. The highlights of Theresa's travels included the college graduations of six grandchildren. Theresa's travels were curtailed when Art was diagnosed with Parkinson's. She was the primary caregiver and support for Art during his battle with Parkinson's. Theresa spent part of every day with Art in the Blaine Manor, joining him daily for lunch and dinner. After Art's death in 2005, Theresa joined a group of seniors who traveled twice yearly seeing sights in the western U.S. Theresa continued to enjoy arts events in Hailey and nearby. Theresa was one of the Hailey "exercisers" who were featured in the CSI "Over 60 and Getting Fit" DVD. In recognition of Theresa's contributions to the community, she was inducted into the Blaine County Historical Museum Heritage Court in 2011. Theresa was diagnosed with cancer in 2007. She was initially treated successfully, but the cancer returned in 2010. Theresa fought the cancer for nearly two years with the strong support of her family and community of friends from St. Charles, P.E.O. and the Wood River Valley. She also benefited from the care and nurturing from the staff of MSTI in Boise. Theresa was able to spend the last months of her life at home in the care of her family and Wood River Hospice. Theresa loved the people of Hailey and her dear friends who were so gracious and kind during the last part of her life. Theresa is survived by her siblings Joe (Gwen) Gilmore of Orange Park, Fla., and Mary Ann Gilmore of Twin Falls; her children Sarah (Ken) Harris of Twin Falls, Liz Richards of Minneapolis, Minn., Tom (Tracy) Richards of Moscow, Idaho, John (Jennifer) Richards of Maple Valley, Wash., Joe (Sue) Richards of Boise, Paul (Lori) Richards of Boise, Steve (Cathy) Richards of Idaho Falls and Peter (Sandy) Richards of Bountiful, Utah; her grandchildren Ian (Robin) Harris of Portland, Ore., Abby Harris of Hillsboro, Ore., Kristen Richards of Portland, Ore., Conor Richards of Moscow, Idaho, Anastasia Richards of Mountlake Terrace, Wash., Conrad Richards of Maple Valley, Wash., Alexandra Richards of Maple Valley Wash., Meghan Richards of Longview, Wash., Genevieve, Hailey and Hannah Richards of Boise, Andrew, Bradley and Kendall Richards of Idaho Falls and Austin, Jackson and Alyssa Richards of Bountiful, Utah; and great-grandchildren Max and Levi Harris of Portland Ore.
Theresa was preceded in death by her husband, Art; her parents, Mathew and Marie; her brother, Edward; and her sister, Rose. A funeral will be held at 11 a.m. Saturday, Feb. 4, at Saint Charles Catholic Church, 311 First Ave. S., Hailey. The rosary will be recited at 7 p.m. Friday, Feb. 3, at Saint Charles Catholic Church. Interment of Theresa's ashes will occur at the Hailey Cemetery during a family gathering next summer. The family suggests memorials to Rotarun Ski Area, Hospice & Palliative Care of the Wood River Valley or Blaine Manor. Services are under the care of Wood River Chapel. Friends and family are invited to leave a condolence or light a candle at www.woodriverchapel.com.